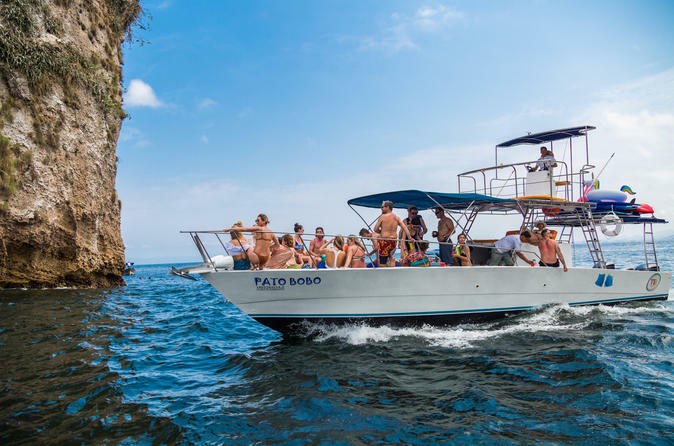 Tour the Bay of Banderas in a 45-foot cigarette boat and have the opportunity to visit a private beach or a beach town around Puerto Vallarta. You will also visit the arches of Mismaloya that is the perfect spot for snorkeling. This boat can accommodate up to 25 of your closest friends or business vacation activity. Transportation to the meet point. You can bring all the drinks or food you like. The professional crew offers excellent service. If you want, we can do all the shopping for you at no additional cost, beyond the cost of food and drinks ordered for your boat tour. Dock J, in Marina del Rey, MarinaVallarta, 2 blocks from the whale statue.